Farm Hack and Chris Callahan, Agricultural Engineer at University of Vermont, have partnered up for a SARE (Sustainable Agriculture Research and Education) project that will leverage the Farm Hack documentation platform to better document and disseminate SARE-funded innovations, while concurrently improving the platform for all Farm Hack users. 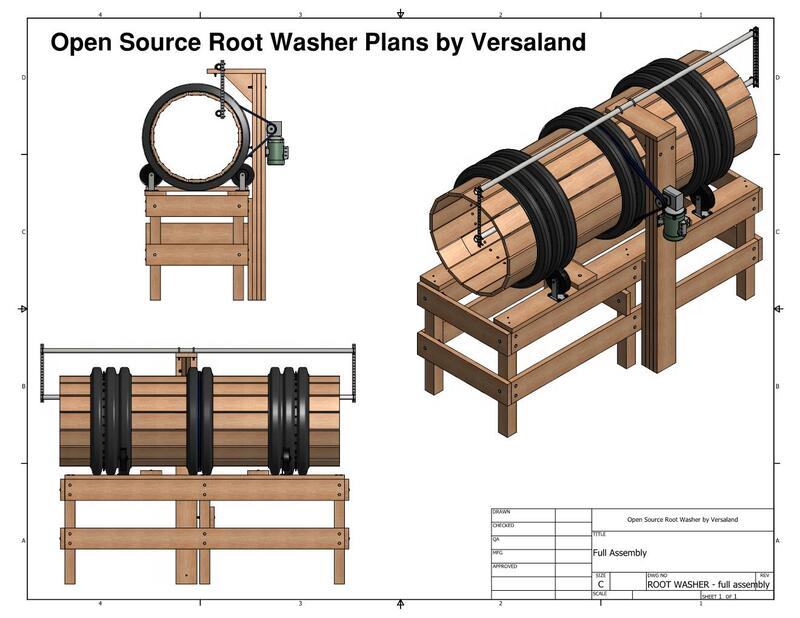 Hundreds of really interesting SARE tool innovation projects are funded each year and documented on the SARE website – for example, a no-weld root washer, mobile hops harvester or a waste vegetable oil powered flame weeder. However, the format of this documentation in a very lengthy pdf database does not facilitate easy dissemination of these valuable ideas to other farmers. The grant we have received will allow us to engage the SARE grantee community to discover how the Farm Hack platform can be improved to better fit their needs as a documentation platform, and fund development to make these changes. With over 200,000 unique visitors since 2012, 2,000 registered contributors and 159 documented projects, Farm Hack already offers a visible documentation platform that additionally permits continued collaborative improvement of tools through open-source, wiki-style documentation and discussion forums. By adding improved functionality on FarmHack.org such as metrics on tool views and downloads, discussion forums, and impact story capture, this project will provide a platform for enhanced SARE project distribution, collective innovation and iterative enhancement, and evaluation of impact over a longer period than the traditional project life. We hope to provide a perpetual home for SARE project outputs that will allow them to live, grow and improve in alignment with the open source philosophy shared by farmers, Farm Hack, SARE and other funding programs. This will be a two-year project culminating in late 2016, and we are currently in the stakeholder engagement and needs assessment stage. Stay tuned for future updates on the project, and work being done to improve the platform.